Featuring three former Death members in addition the main songwriter, it comes as no surprise that The Fragile Art of Existence bears more than passing semblance to later Death, if filtered through a more traditional heavy/power metal framework. What we get is basically a modernized, slightly technical take on the gritty and darker form of power metal produced in the US during the mid-1980s by bands like Jag Panzer, Fates Warning and Vicious Rumors. More recent comparisons that comes to mind are the works of Nevermore, Iced Earth and the less well-known Steel Prophet. 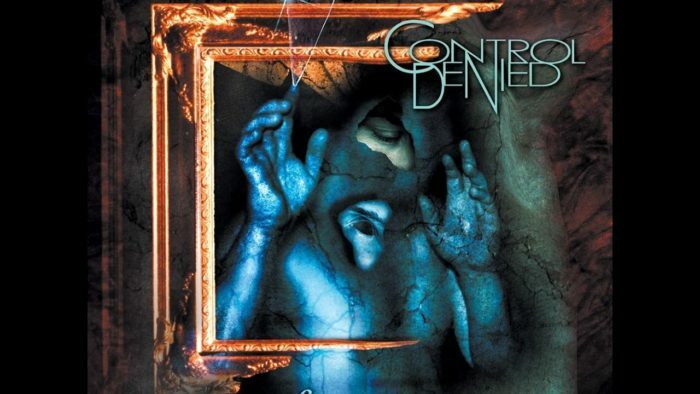 To this mix, Control Denied adds a substantial dose of speed- and death metal technique as well as touches of prog-metal en vogue at the time. As would be expected, the musicianship is impeccable in terms of the instrumental handling. This is further augmented by a well-balanced production with a pragmatic approach to instrumental voice-separation. In front of the mix are the vocals and guitars, who in typical heavy/power metal fashion share the leading role. Songs tend to gravitate around discernible verse/pre-chorus/chorus sections separated by ensemble workouts, guitar- or bass-solos and multiple bridges (hence garnering the “prog”-epithet among fans and journalists). Thankfully enough, the band settled for a traditional heavy metal vocalist in Tim Aymar, whose robust, if slightly cheesy Robert Halford-meets-Ray Gillen vocal delivery is more in line with the band’s style than the painfully off-kilter shrieking that was on Death’s rendition of “Painkiller.” The guitars mesh classic metal riffing with techniques borrowed from speed and death metal. Instantly recognizable is Schuldiner’s tendency to insert melodic fragments into rapid, very precise riffs without making them sound too obvious. Solos are plentiful throughout the record, but not always welcome as they occasionally disrupt the flow of the songs. Although the vocals and guitars steal most of the show here, a special note goes to the solid and inventive labor of the rhythm section. The bass is uncharacteristically vivid (and even audible) for a heavy/power metal band, and serves as much a melodic as rhythmic function. Steve DiGiorgio refuses to make do with supplying root-notes and instead dances around the melodic lines or goes into contrapuntal mode; a welcome contribution to a genre notorious for pedestrian bass work. Richard Christy stick to a more restrained performance on the drums; keeping songs coherent while adding some very intricate accents on hi-hat and cymbals. While there is much to praise here in terms of musicianship, there is in fact one burning issue that needs to raised that is related to the album’s admixture of styles and techniques. One of the more problematic aspects of Control Denied bringing death metal elements into a genre heavily reliant on vocals is that guitars are repeatedly relegated into a secondary position. In death metal, where vocals serve a rhythmic function and are less bound by intonation, the guitars takes the reign. Unfortunately this is seldom the case in heavy/power metal (a major exception to the rule being Fates Warning, who struck a fine balance between vocal and instrumental elements). Thus, instead of developing songs through sequences of riffs, The Fragile Art of Existence becomes overly reliant on repetition of basic hooks which add little in terms of thematic development. The band tries to fix this problem by inserting multiple solo sections and other in-game “prog”-metal tricks, but these more often than not provoke an opposite result, obstructing rather than guiding the composition forward. According to Death manager Eric Grief, the outlook for a prospective second Control Denied album appears quite grim. If allowed to speculate around a hypothetical follow-up to The Fragile Art of Existence, this reviewer would suggest two possible pathways for development. Control Denied could either drop the “progressive” pretensions and go for a more streamlined power metal approach that is still in keeping with their previous, seemingly honest attempt to merge the anthemic, fist-in-the-air/larger-than-life aspects of pure heavy metal with the darker, more acerbic aspects associated with speed-and death metal. As for the second alternative, the band could instead make do with the vocals and focus primarily on the interaction between bass and guitars. This would allow for a genuinely progressive form of power metal built around developing themes rather than rock-derived structural tropes. Traces of both of these compositional methods can actually be found on the album (track 6 and 8, respectively) but in potential rather than actual form. With The Fragile Art of Existence, Control Denied hit upon an interesting, but somewhat problematic admixture of styles and techniques that could work as a possible spring-board for subsequent development within the power metal genre. However, with the prospects of a new album by the band being close to infinitesimal, this work will have to be done by the next generation of metal musicians. Chuck’s vocals were always awful, but on this goofy cover of Painkiller they’re somehow even worse. The desecration of Painkiller is easily the most egregious of all the numerous offences contained within The Sound of Perseverance. The only highlight is the short acoustic instrumental (i.e. vocal-less) “Voice of the Soul” which actually might be my favourite Death song. Chuck’s vocals were admittedly the worst element on Death’s last two albums and he also knew it himself. Tim Aymar fits the style better but he’s a bit unoriginal and sounds like he is just doing his job without that much effort in doing anything special. I would have been more interested to hear what Warrel Dane could have done with this album as he was originally supposed to do the vocals. Control Denied had some good ideas but I find the full album a bit underwhelming with indifferent vocal melodies. Fragile Art of Existence misses the remarkable and memorable moments that Fates Warning, Nevermore and even Steel Prophet and Iced Earth managed to deliver. They all have had much better vocalists on their best albums as well. Chuck sounds like an asphyxiating kermit the frog on TSOP. Once was Messiah Marcolin. But the Chuck got me! Oh, the horror! Actually, this is more a Sorcery clone (and don’t forget the Chuck!). FOAD.